Aquae Sulis Water Coolers Limited, is a family owned business, which has been providing its customers with Bottled or Plumbed in water coolers and Filter coffee machines from its Telford premises since 1992. Aquae Sulis Water Coolers now supplies to over 1700 sites throughout the East and West Midlands, Manchester, Cheshire, Worcestershire and Northamptonshire with a customer base ranging from local councils & health authorities, to offices, shops & homes. The Aquae Sulis Water Coolers product range now includes bottled water in sizes from 500ml to 19 litres, high quality filter coffees, in-cup drinks as well as a wide range of catering & hygiene supplies. 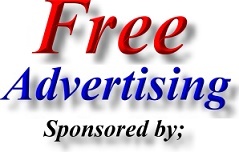 Address; Aquae Sulis Water Coolers Limited, Units B4 & B5, SBS Estate, Halesfield 13, Telford, Shropshire. TF7 4P. Chrisbeon is a family run business and was established in 1974 and has seen many changes in their customer’s office requirements. They are dedicated to providing all your office needs at competitive prices with exemplary service. They can meet all your requirements, no matter how large or small. They supply 1,000s of items, both stationery and furniture everyday, to customers both local and national. With their own fleet of vans and installation teams, they are the “one-stop” office solutions source. 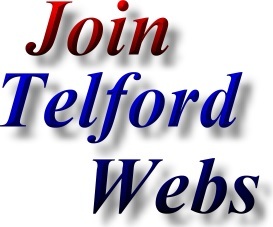 Address; Chrisbeon Office Supplies, Unit B2-B3 Stafford Park 4, Telford, TF3 3BA. 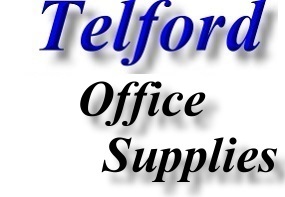 Staples Office Furniture and Stationary Supplier - Telford. Staples is the world’s largest office products company. Staples Telford is committed to making it easy for customers to buy a wide range of office products, including office supplies, office stationary, office technology products, office furniture, and business services. Address; Staples Office Supplies, Unit 2, Rampart Way, Telford, Shropshire. TF3 4AS.